Cuomo: Joe Biden Has The "Best Case" For 2020 - Joe.My.God. “I think it sounds like a lot of people are running. The main issue for the Democrats is not going to be the articulation of the negative, it is going to be the articulation of the positive, and credibility. Of all the names that are out there, I think Joe Biden has the best case because he brings the most of the secret ingredient you need for a Democrat, which is credibility. “You don’t hire an airline pilot who hasn’t flown a plane. Where is the credibility in your argument? Joe Biden can say ‘I was there. I was not the president, but I was the second seat. '” – New York Gov. 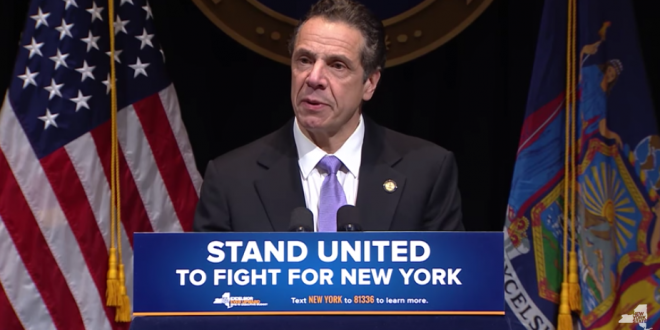 Andrew Cuomo, in an Albany public radio interview in which he declined to comment on Elizabeth Warren’s candidacy, which was unveiled early on New Year’s Eve. Perhaps obviously, an endorsement from Cuomo would be a major boost to any Democratic candidate.